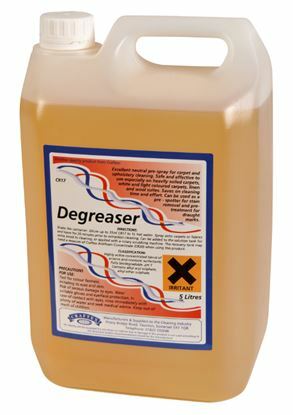 A general purpose extraction cleaner detergent for cleaning carpets and upholstery. Low foam. 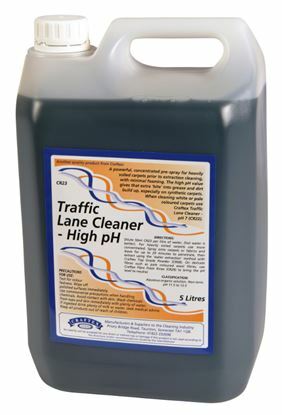 A concentrated non foaming pH neutral cleaner for use in carpet cleaning machines. 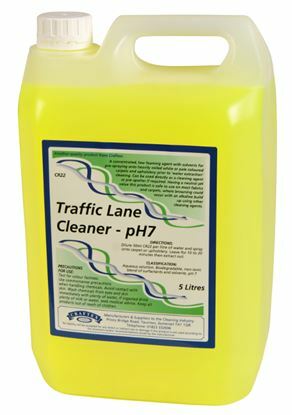 Suitable for use on all carpets, rugs and and water washable upholstery. 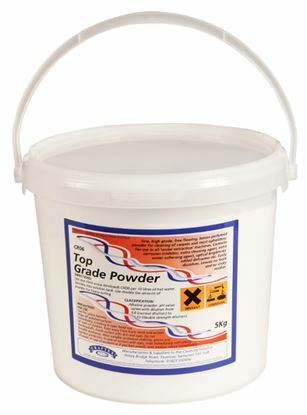 Very suitable for use on woollen carpets and rugs. Free from phosphates, solvents, optical brighteners and enzymes. Use to eliminate foaming problems in machine recovery tanks. Excess foam in a machine recovery tank can lead to vacuum motor damage. 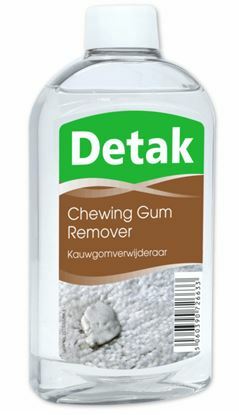 A simple to use spot application for effective removal of chewing gum. Solvent based product for use on solvent resistant carpets and fabrics. Please call to check stock availability for other sizes. Fine, high grade, free flowing, lemon perfumed powder, for cleaning carpets, most curtains and upholstery. 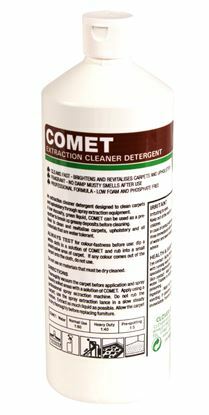 Contains corrosion inhibitor, extra cleaning agent, extra water softening agent, optical brightener and added defoamer. Ideal for use with Citrus Fresh Deodoriser (CR28). 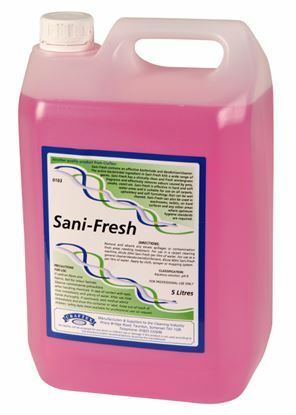 Craftex Sani-Fresh formerly known as ‘Craftex Sanitiser Fluid’, has been upgraded. Now re-formulated to contain a stunning new Fresh Wintergreen Fragrance. This sanitiser and deodoriser has increased bacteria killing properties and removes odours caused by pets, smoke and vomit etc. Effective in hard and soft water areas. 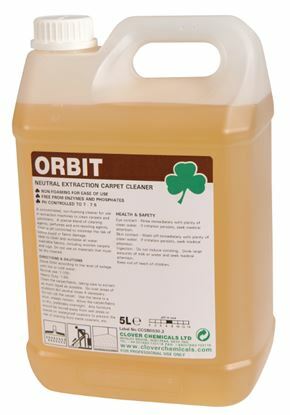 Suitable for use on all carpets, upholstery and soft furnishings that can be wet cleaned. 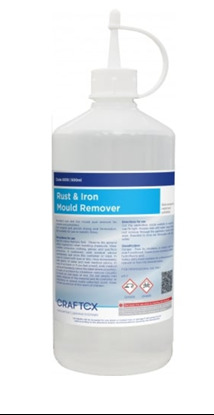 Excellent, strong acid, rust remover, safe for use on most fabrics except those with metallic fibres. NB: Due to the chemical content, this product is ONLY available to collect using our Click & Collect Service. Keep container tightly closed and in a well ventilated place. possible). Keep out of reach of children. For trade and professional use only. 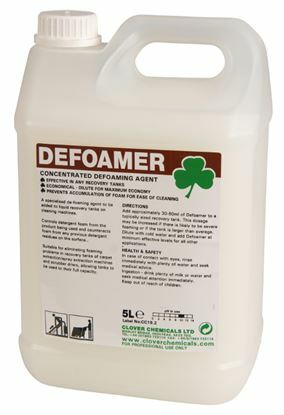 A defoaming additive to control detergent foam. Add to recovery tank or cleaning solution prior to cleaning. Perfume additive to mask unpleasant smells and freshen the atmosphere when cleaning. 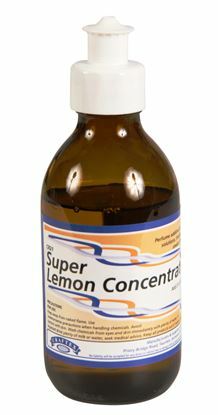 Very strong concentrated essence. 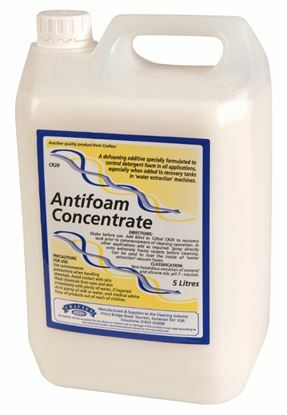 A concentrated, low foaming agent for pre-spraying on to heavily soiled, white or light coloured carpets. Ideal for prevention of alkaline build-up in light coloured carpets. A powerful, concentrated, low foaming pre-spray for heavily soiled, carpeted areas.